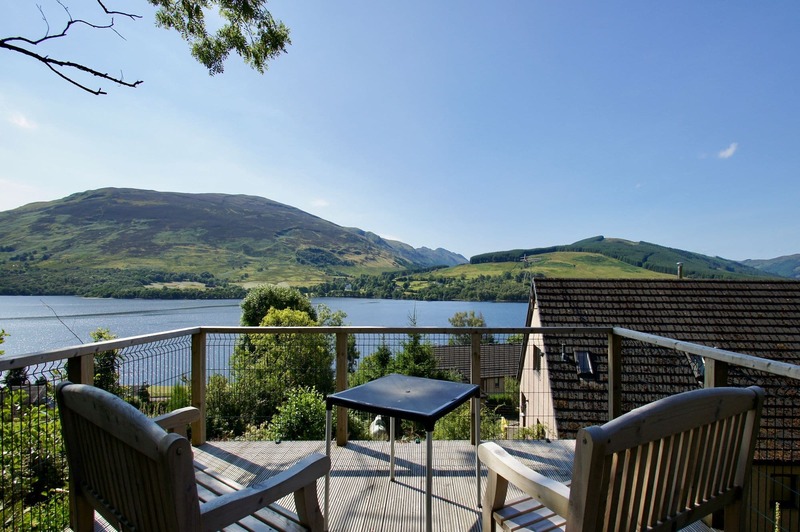 Burnside is a large dog friendly holiday home in Lochearnhead with local walks in the Breadalbane area of the Loch Lomond and Trossachs National Park. 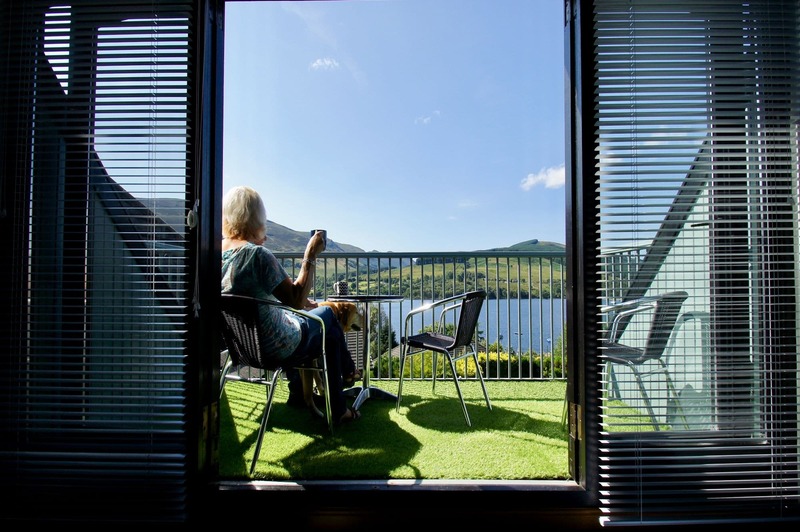 Enjoy the views from the balcony or outside decking area of Loch Earn out towards Edinample glen. A great viewing platform for the magnificent starry skies. Walks begin on the doorstep, for those that are more adventurous try the local munro Ben Vorlich. Fishing permits are available at the village shop a few minutes walk away. The Lochearnhead Hotel and Clachan Hotel are within walking distance where you can enjoy a drink, good food and a little local banter. 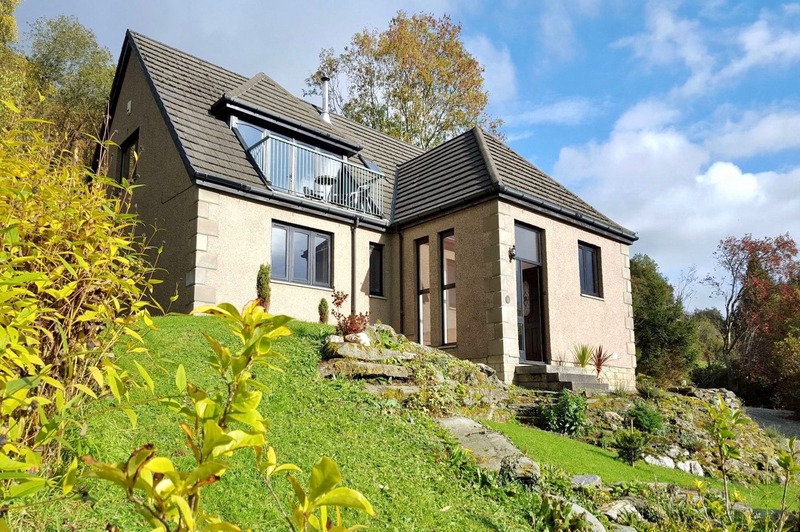 Burnside is a modern home with views towards Loch Earn and Glen Ample. Through the gates there is secure parking to the front of the property. Access is via a drive and steps. There is a viewing platform to the rear of the house with views of the loch and surrounding mountains. 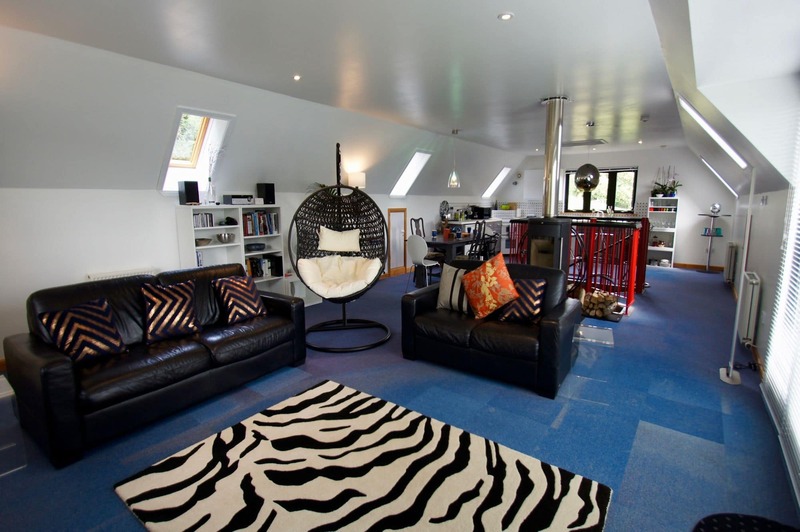 The house is built in an upside-down style, with access to the open-plan living-dining-kitchen area up a spiral staircase in the main hall. The kitchen has an oven with hob, fridge-freezer, kettle, microwave and toaster. There is a dining table with seating for eight. 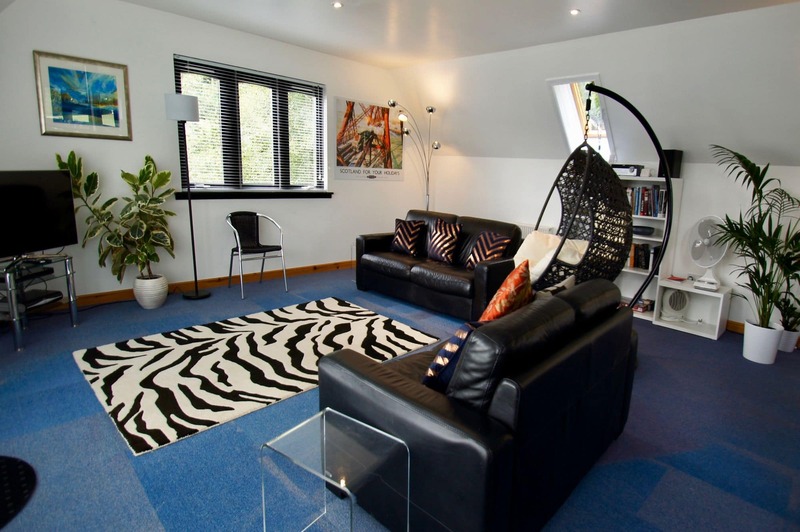 The lounge area has sofa and hanging-chair seating, Sky television and log-burning stove. Through sliding doors is a balcony to the front of the house with views of the loch and mountains. Downstairs there are three double rooms (one en-suite with a shower and toilet) and one twin rooms as well as a family bathroom with bath, shower and toilet. There is a utility room with washing machine and dryer as well as a drying room. A short walk from the house guests can find two local bars and restaurants. There is a village store in Lochearnhead. Guests can enjoy nearby walks along the National Cycle Network and fishing on Loch Earn (permits available locally).